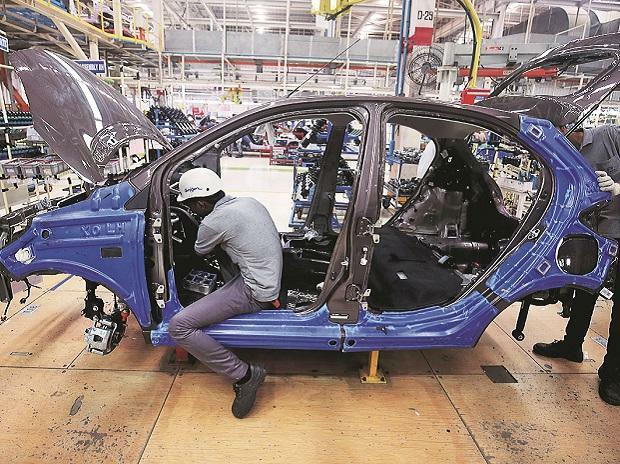 Tata Motors Ltd (TML), the fourth largest passenger vehicle maker in the country after Maruti, Hyundai and Mahindra, has embarked on a journey to turn around its passenger vehicles (PV) business, which contributed around 21 per cent to the company's turnover of Rs177.6 billion during the quarter ended September 30, 2018. It has been a difficult year for the company. According the latest figures available, its PV domestic sales witnessed a decline of 1.01 per cent to 16,982 units in November 2018, as compared to 17,157 units sold in November 2017. “November 2018 was a challenging month for the industry with muted consumer sentiment caused by liquidity crunch, non-availability of retail finance and moderate festive season,” the company said in a statement. Such developments will not distract TML from its larger goal for PVs, that is, to “win sustainably”, says the company. The overall transformation journey for the company began at least two years ago. In 2016, TML started its transformation journey with commercial vehicles (CVs) to counter a series of internal and external challenges it was facing. Few product introductions, weak market activation, pressure on margins and a complex organisation structure were a few of them. TML’s challenges were compounded by developments in the external environment such as structural reforms in the economy and the introduction of new emission standards. After two years, however, its efforts in CVs — the compay’s bread and butter —have started yielding results. By FY18, TML achieved about 30 per cent reduction in its supplier base through rationalisation of low annual purchase value and poor performing suppliers; the conversion rate (enquiry to sales) also improved by 40 per cent. Its volume share in the market increased to 45.1 per cent in FY18 from 44.4 per cent in FY 17. Now, TML is applying the learnings from its CV turnaround to its PV business. “We have changed the direction; now we have to increase the speed,” says Mayank Pareek, president, PV business unit, Tata Motors. The pivot of the turnaround strategy for PV is different — “win sustainably”, unlike that for its CV business, which was “win decisively”. Under its Turnaround 2.0 programme, TML will work to improve its sales capabilities — “as the product itself is not enough” — use experiential marketing to excite the market and cut costs to make its offerings more competitive. In the auto industry, product development comprises the biggest cost component. TML is now using what it calls two-platform architectures — Alfa architecture (up to 4.3 mts) and Omega architecture (above 4.3 mts) — with multiple options to benefit from economies of scale, commonisation and reduction in complexity. Earlier it followed a one-platform-one-product strategy which meant its manufacturing costs were higher. “We will have 12-14 sets of cars. Commonisation will be higher and as a result cost and operational efficiency will be better. That said, the customer will get the experience of a very different craft from each of the cars,” says Pareek. The company plans to roll out 12-14 new models in quick succession — from small hatchbacks to SUVs — to cover different customer segments. “Today we cover around only 60 per cent of the market and with 12-14 types of new products, we will cover more than 95 per cent of the market,” says Pareek. “The money that was required to develop one product could be utilised in developing six others products — thanks to our new platform strategy,” he adds. On the retail side, TML aims to have 1,200 outlets for PVs by 2020. The company is also considering the possibility of introducing digital and virtual showrooms to make the customer experience more fruitful. TML is bringing about many structural changes to streamline operations for faster decision making and overall execution of the annual production plans. There is also an enhanced focus on embedding new capabilities through analytics-based idea generation and data-driven negotiations, which will facilitate efficiency enhancement and cost reduction. Says Pareek, “Every single cost would be looked into and there is nothing called fixed cost.” The company has put together 24 VMTs — vehicular model teams — with 24 different modules and each module is headed by a senior leader who is entrusted with the task of identifying opportunities to reduce cost. While he doesn’t share numbers, the company's 2017-18 annual report states TML expects its Improvement by Actions (ImpACT) initiative will lead to Rs19 billion in savings in FY18. The turnaround initiative has had a visible impact. TML has improved its share of the PV market to 6.8 per cent share compared to 5.1 per cent in FY2017. Indeed, in FY18, TML recorded its highest sales volume in six years. Pareek says TML has outgrown the PV market for 30 months, back to back, and that its portfolio covers over 60 per cent of the PV market now. With new products in the pipeline it will cover 90-95 per cent. All its new cars have logged strong demand from the market. After almost six years, one of the company’s products, namely the Tiago, figured among the top 10 brands in car industry and is the second highest selling model in the compact car segment. The PV business has also seen a sharp transformation in the net promoter score (NPS) between FY15 and FY18 — from minus one to plus 18, significantly improving brand perception.